By The Young Turks, Inc. 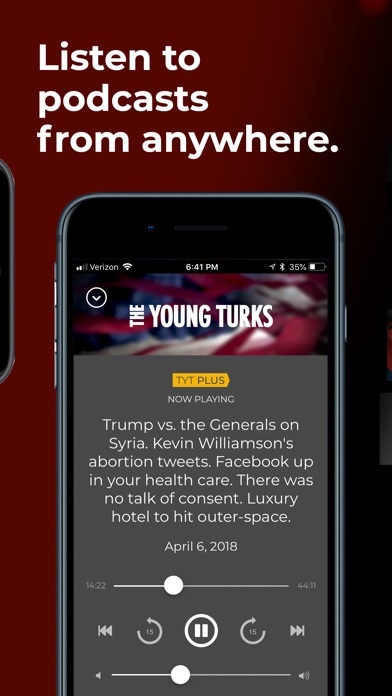 Developer: The Young Turks, Inc.
Big TYT fan, love the app BUT ... when I pause a video to answer a phone call, it will resume all on its own without me pressing play. It is extremely annoying when I am on call and the video resumes unprompted while I’m trying to speak with someone. I try to pause it but a second later it resumes to play again unprompted. The only solution is to close the app completely. Please fix. Thanks TYT! 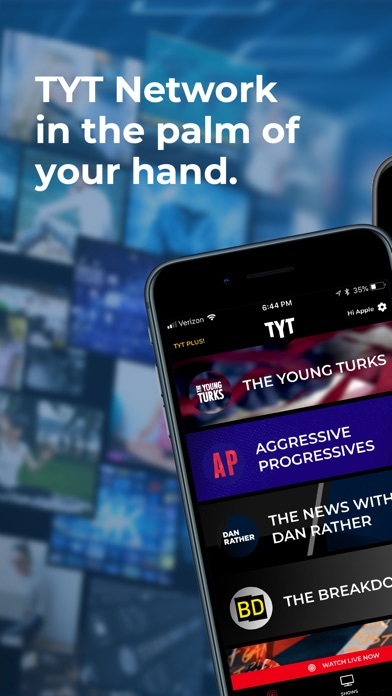 I use my iPad for watching TYT and would love to see iPad support for the app. Keep fighting the good fight! Solid app and recent bug fixes and feature updates have made it quite useful. I just hope the shows are updated more rapidly. I’d also like to be able to watch the show while it’s live and scrub back and forth. I have to use the YouTube app in order to do that and so can only watch the main show live. I often do t get to tune in right when the show starts and want to be able to scrub back to the beginning. Also, please make it possible to close the app and still have audio playing. It only works when you listen to them as podcasts but I’d like to have the video play so I can go back and forth between other apps and the video and have playback be continuous. Also, please adapt the app for the iPad. 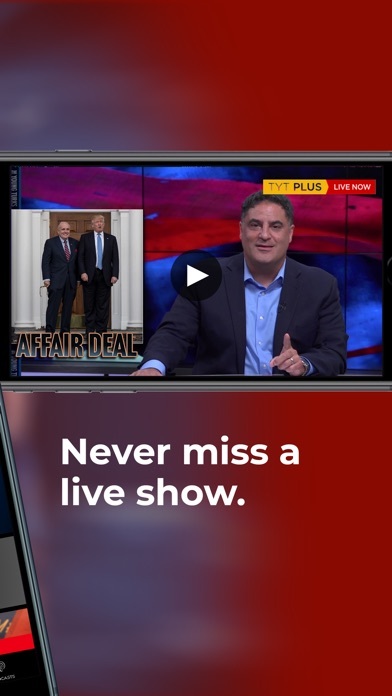 Aside from all that, really excellent and professional software from TYT. 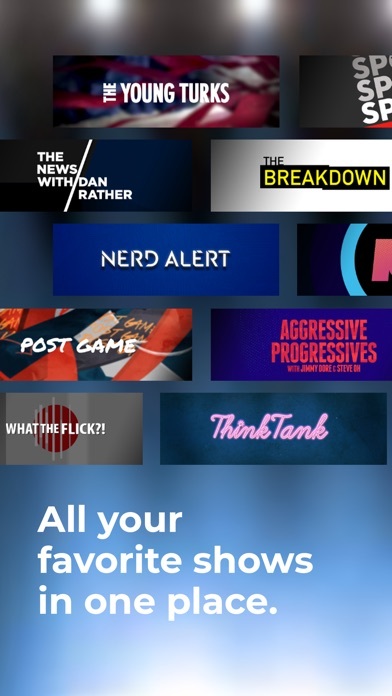 I’m not happy with the app because I just want to download the pod or the video without having to start streaming the show. I just want to choose the show and let it download in the background while I do other things, just like my other podcast app. Can you make this happen please? This update says it now saves playback location. Wrong again Bob. I’ve been waiting for this to get fixed. I’ve quit the app and restarted the phone. Doesn’t work. I will save if it’s for a brief time. Also, when I delete a download episode that I’ve heard, it deletes a different one than what I clicked on. I have to wait until I listen to all, then delete them all. I also would like it if the episodes were CLEARLY labeled. Like “Part 1”, “Part 2” etc. I have to guess which part goes in what order. Always assume the 60 minute part is first. So far that’s been correct. I’ve been a member of the show for a long time. 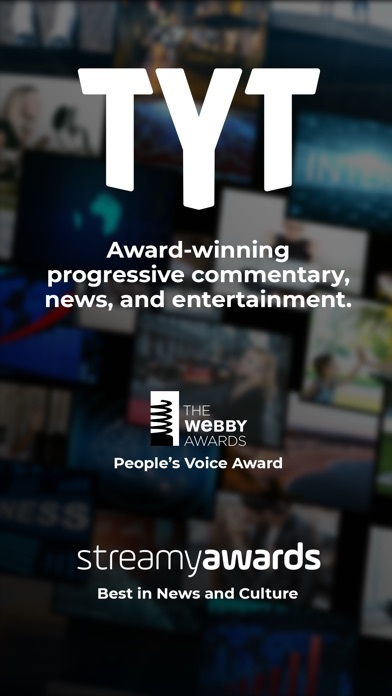 This app doesn’t yet live up to membership standards. I gave the last version a lower rating, but this update fixed everything. Being able to stop and pick up where I left off is fantastic. And playing it in the background while multitasking is very much appreciated. Nice job guys! So many of the flaws of the app have been updated in the newest version and I, for one, really appreciate the time & effort put into this! 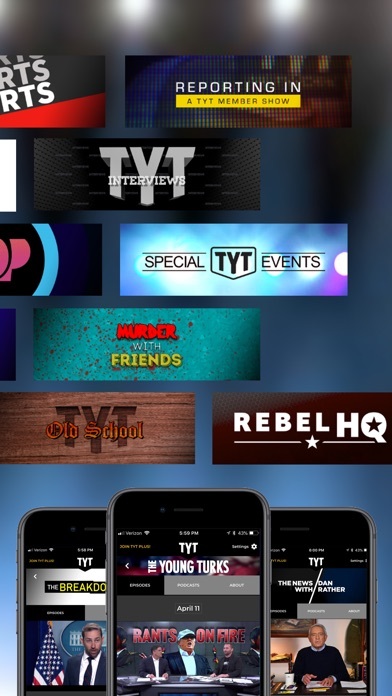 The TYT app is my favorite way to utilize my cherished membership. Thanks for making it great! 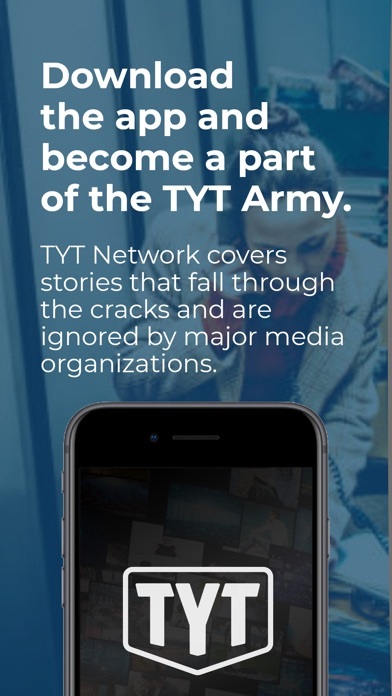 I am giving this a 5-star rating to support TYT because I believe in their vision. The app could use some improvements though. For example rewinding/fast forwarding is glitchy and inaccurate on the app. This is frustrating. If the app saved where you left off a show, and I could just pick up where I left off, this might be less of a nuisance. Or maybe there is some way of making the FF/RW feature more responsive. Either way, love the content and proud to be a member. Listened to a few shows hoping to learn and sharpen my arguments. The hosts kept saying that x, y, or z were debunked. Apparently they think that saying something is debunked is the same as debunking something. Very disappointing. The live video playback efficiency needs improvement. Even on a great Wi-Fi connection it often gives up on video and just plays the audio, or it prebuffers FOREVER. Very frustrating. More by The Young Turks, Inc.